“South Sudan's economic outlook is improving. Oil production is rising and inflation is declining, The mission welcomes the authorities' 2013/14 budget submitted to Parliament which strikes the right balance between increasing spending on priority areas and maintaining economic stability. The mission also welcomes the authorities' plans to lift fiscal austerity gradually as the oil revenue stream becomes more certain and to move forward with other key reform including the enactment of the Petroleum Revenue Management Act. “The mission agreed with the authorities that, with the gradual resumption of oil production, policies that promote economic stability will remain essential, together with an environment of good relations with Sudan and the pursuit of national unity. To this end, key near-term priorities will need to be sound fiscal and foreign exchange policies, improved transparency in government and oil operations, and strengthened public expenditure management. Over time, careful and transparent management of South Sudan's abundant natural resources and investments in health, education, and public infrastructure could put the country on a path of sustained growth and poverty reduction. As public investment is scaled up in the near-term, sound project selection and prudent debt management should also be priorities. “Discussions on possible financial support by the IMF under the Rapid Credit Facility and a government program that would be monitored by IMF staff are at an advanced stage and could be concluded in coming days. The successful implementation of this program would set the basis for economic stability and help attract support from multilateral and bilateral partners as well as private investors. The mission met with Minister of Finance, Commerce, Investment and Economic Planning Aggrey Tisa Sabuni, Governor of the Bank of South Sudan Kornelio Koriom Mayik, Minister of Petroleum and Mining Mr. Stephen Dhieu Dau, Minister of Cabinet Affairs Mr. Martin Elia Lomoro, and representatives of the Parliament, the private sector, civil society, academia, and the donor community. The mission also engaged in a discussion about South Sudan's development challenges and policy solutions with members of the Development Policy Forum at the Ebony Center for Strategic Studies, a major think tank in South Sudan. 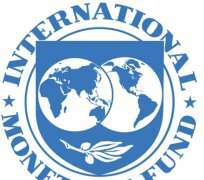 The IMF team thanks the authorities and all other interlocutors for their hospitality and constructive discussions.